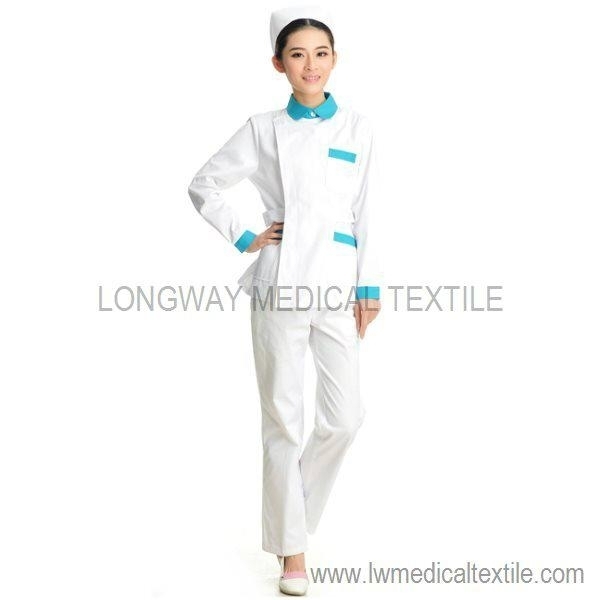 Medical uniforms, for both doctors, nurses and patients as well, are supplied in various stylish and comfortable designs for both summer and winter. 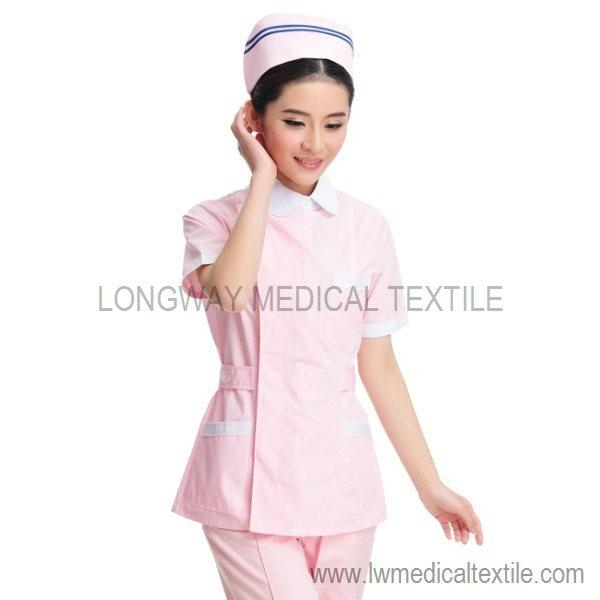 This category includes lab coats, overalls, nursing suits, scrubs, nurse sweaters, nurse caps, and decorations such as nurse watch, nurse hair decorations, nurse shoes, etc. 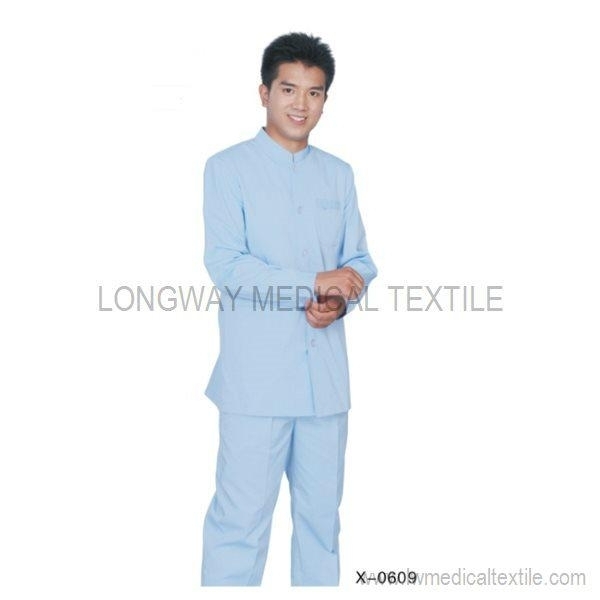 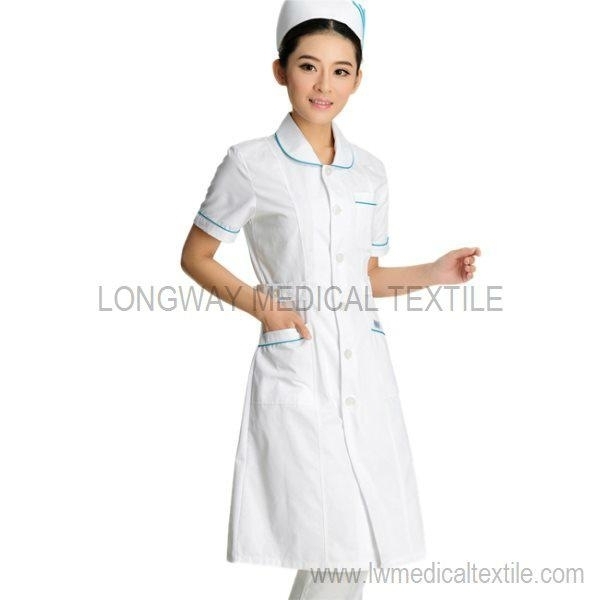 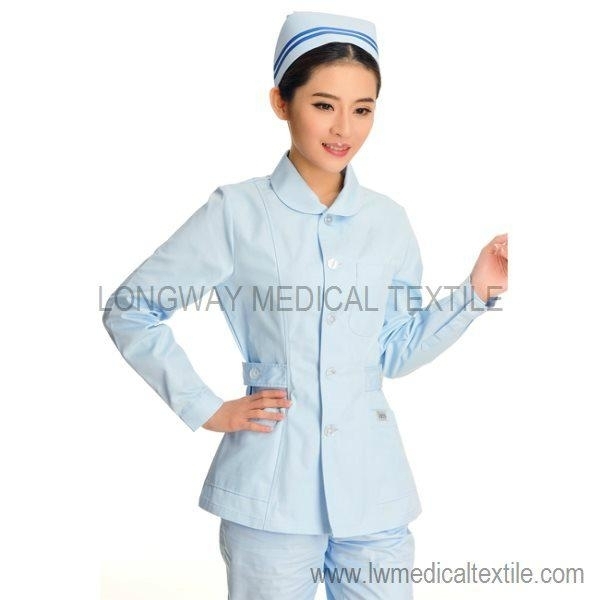 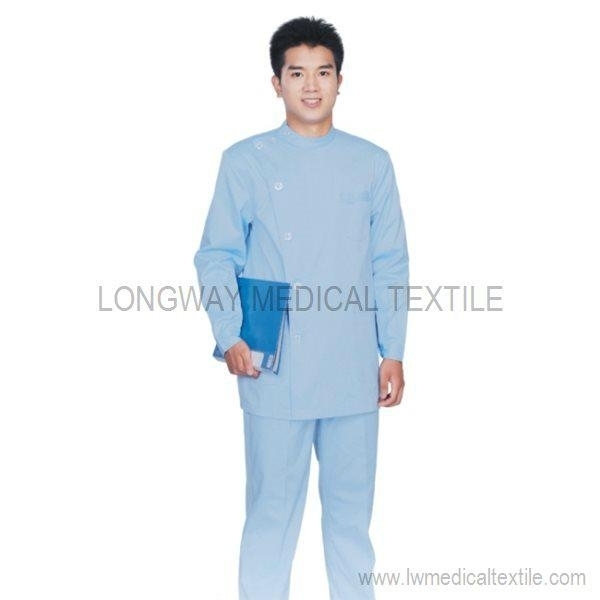 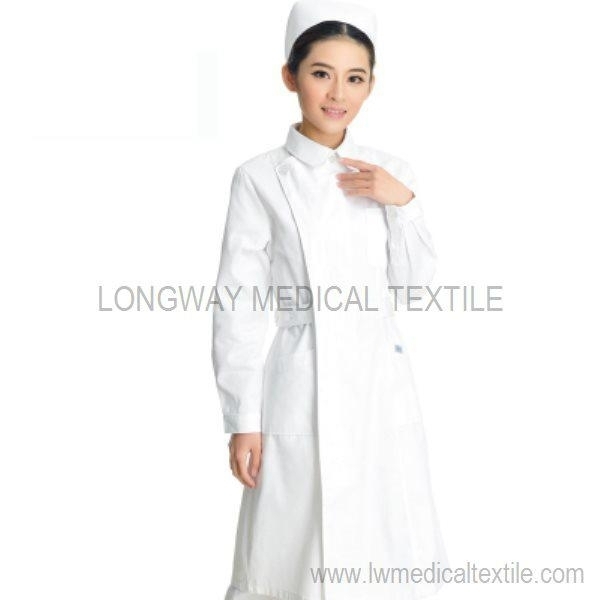 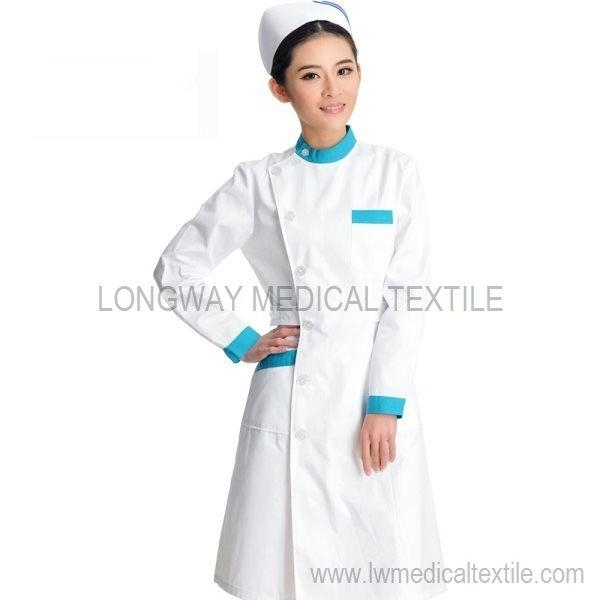 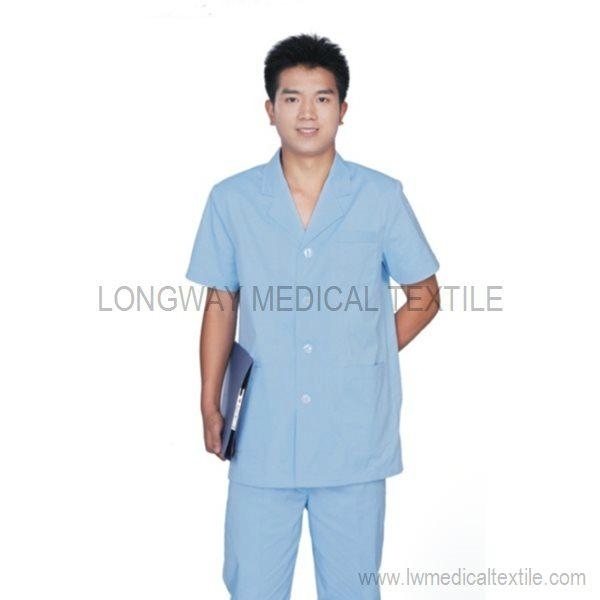 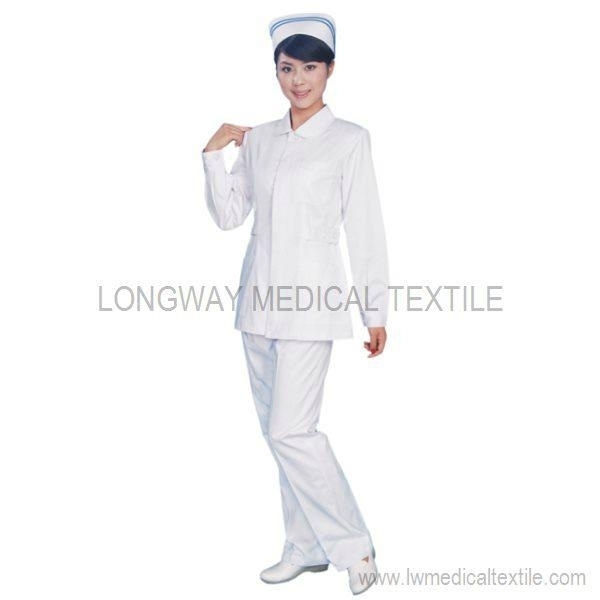 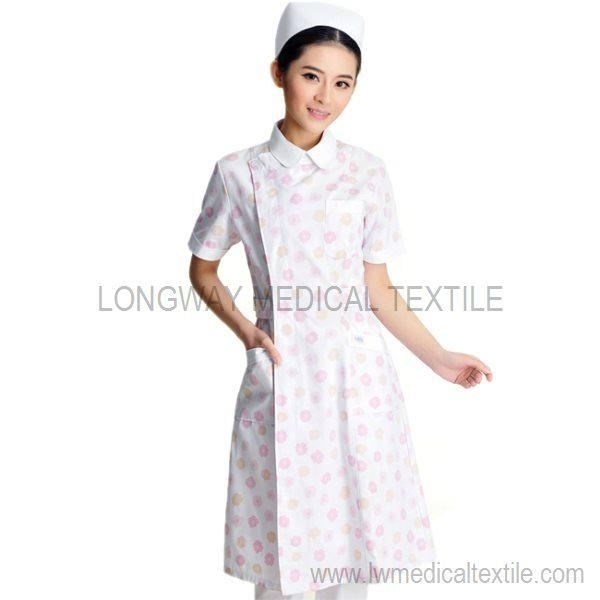 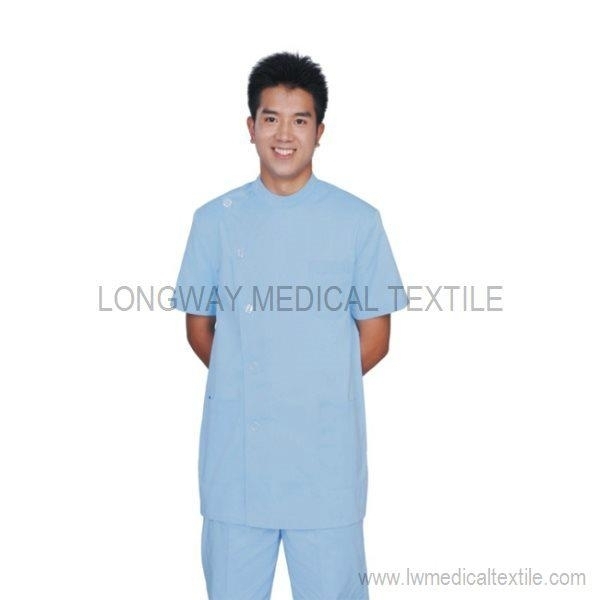 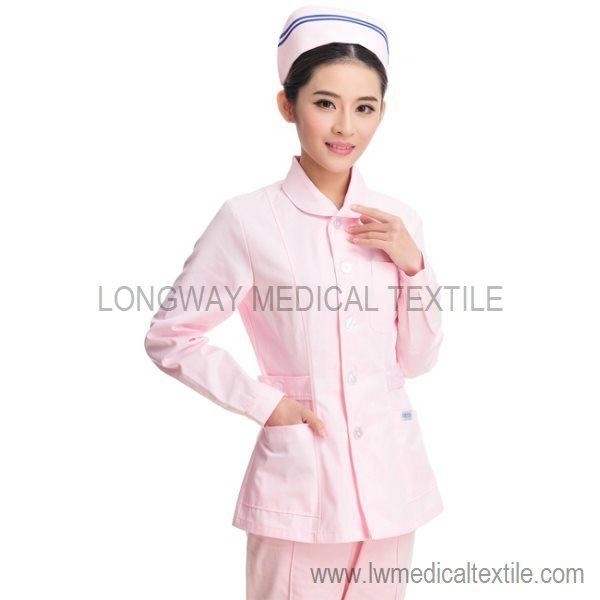 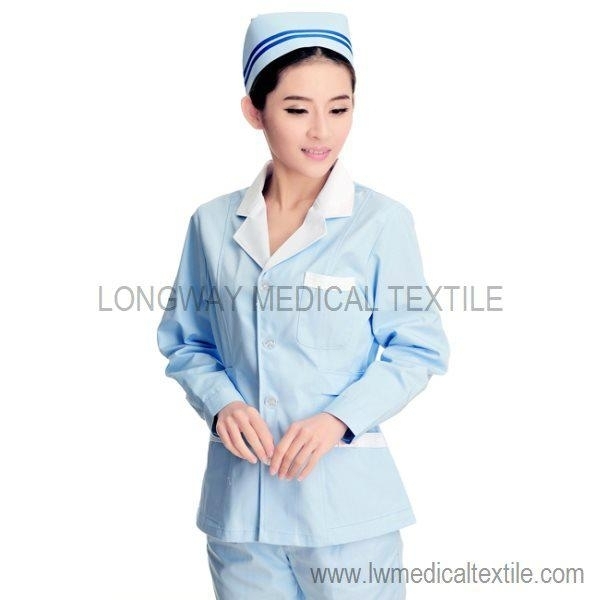 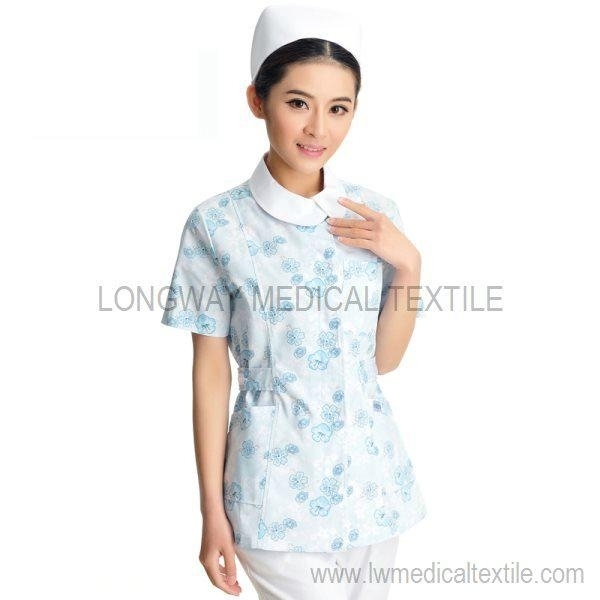 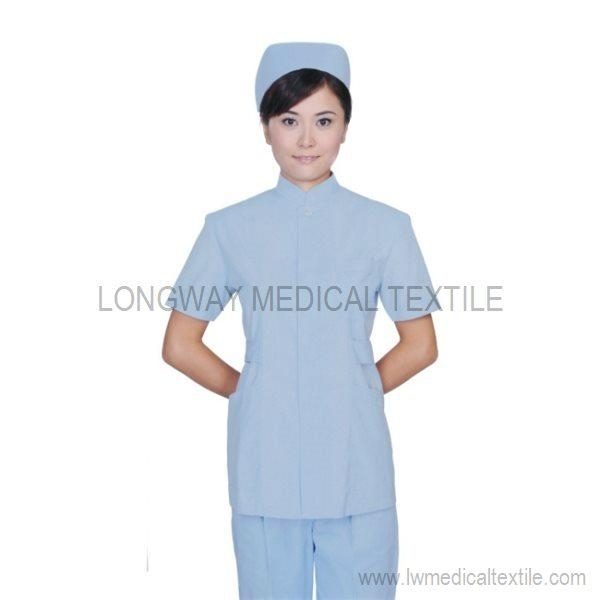 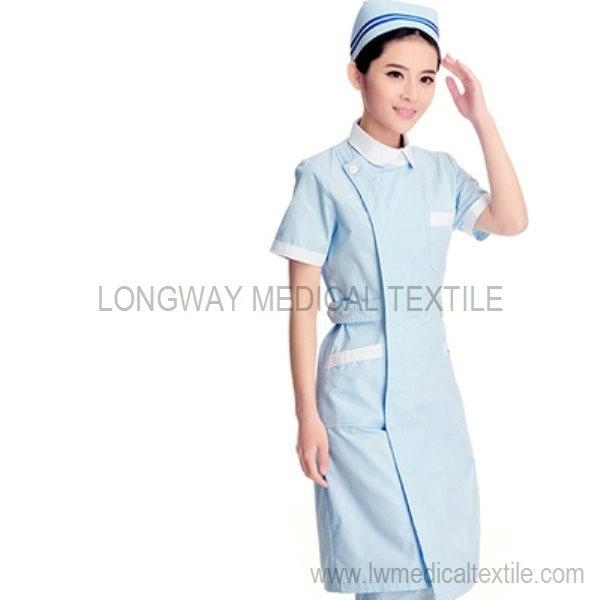 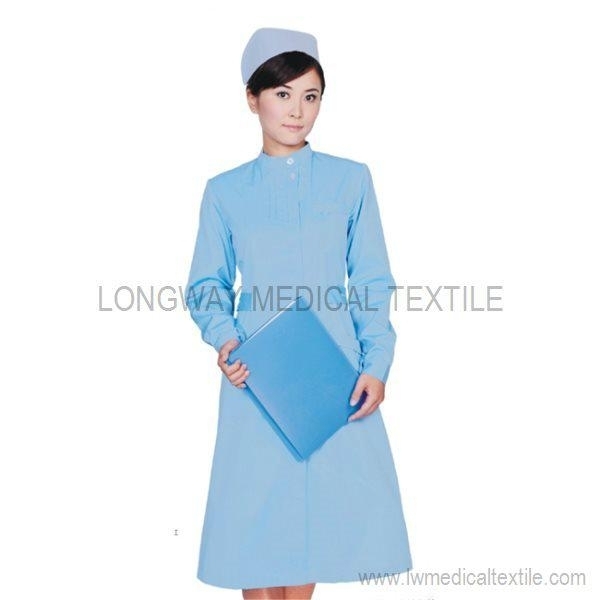 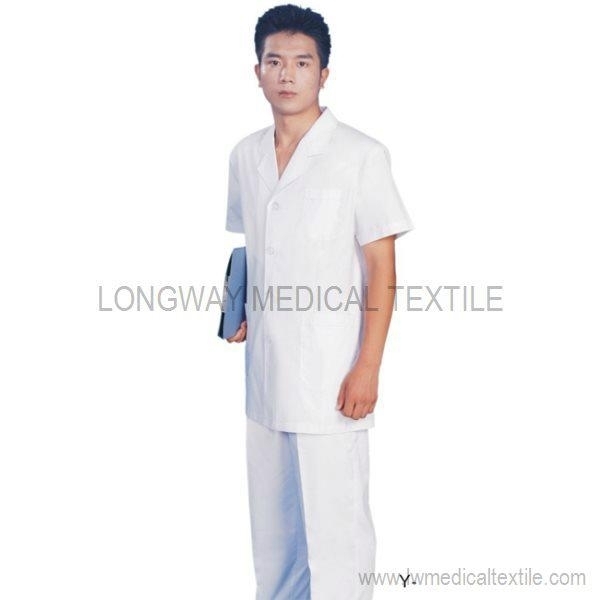 Materials for medical uniforms can be pure cotton, or polyester cotton. 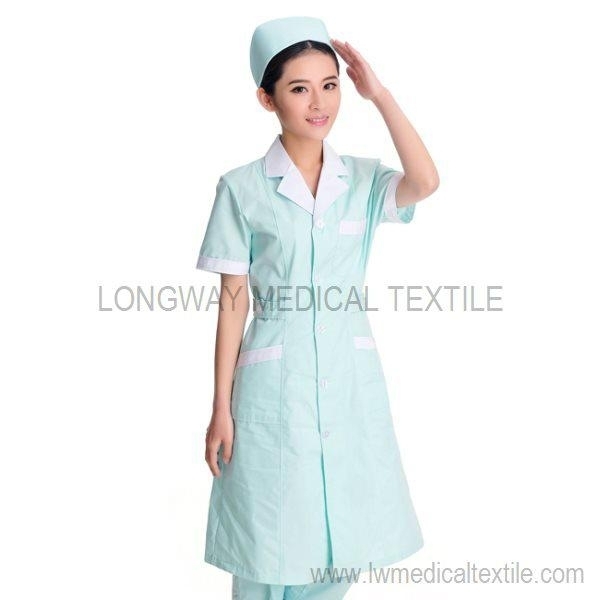 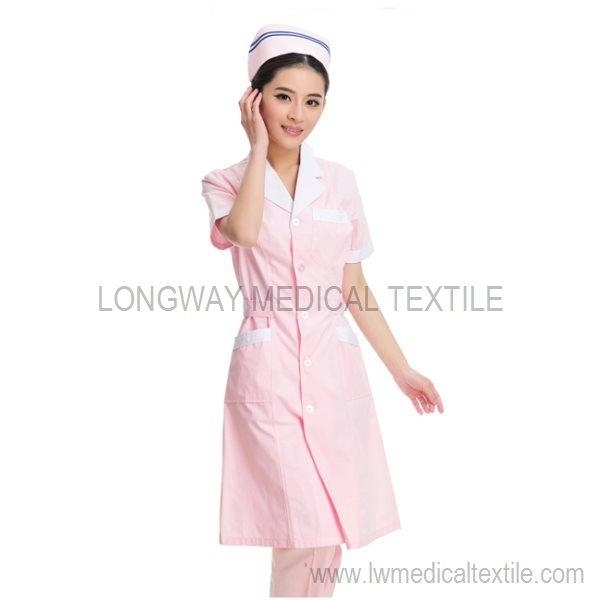 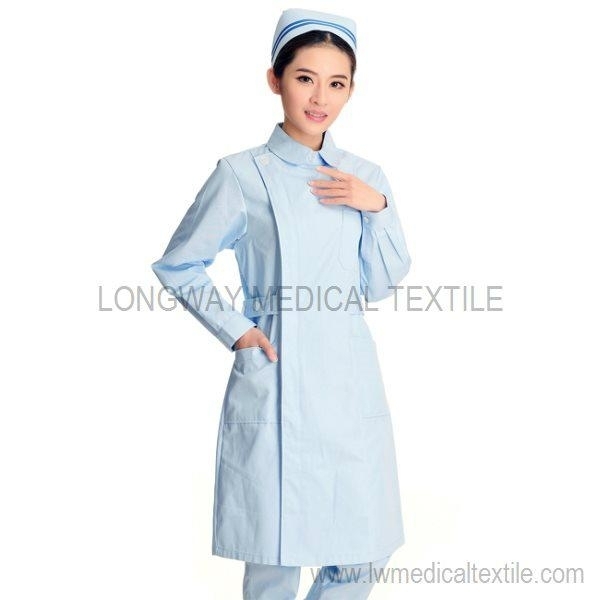 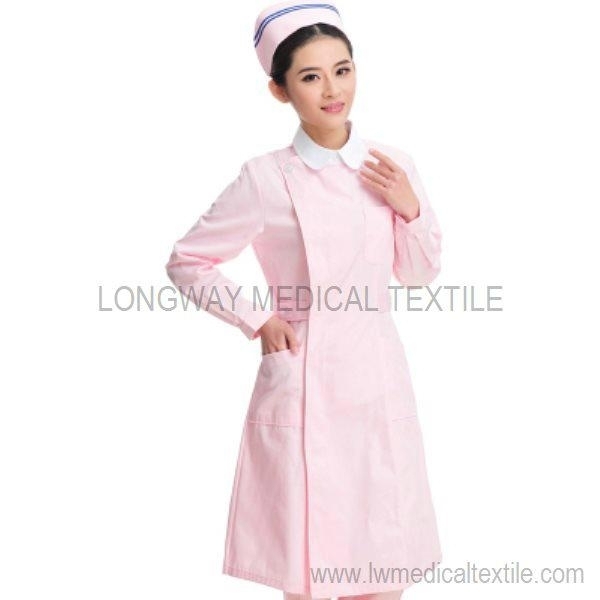 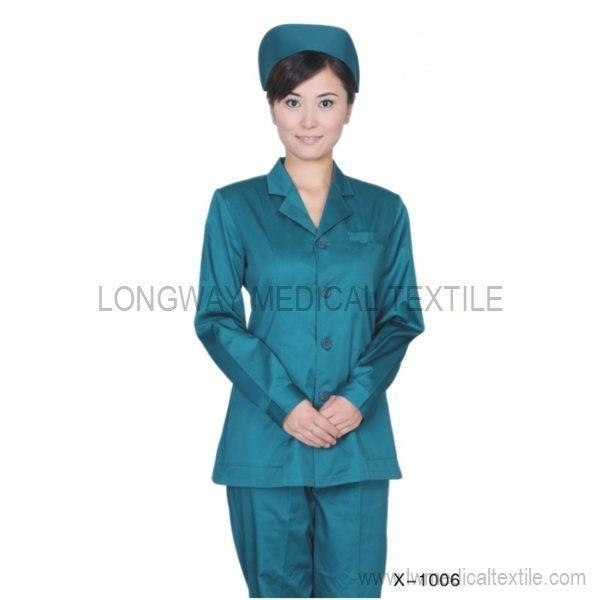 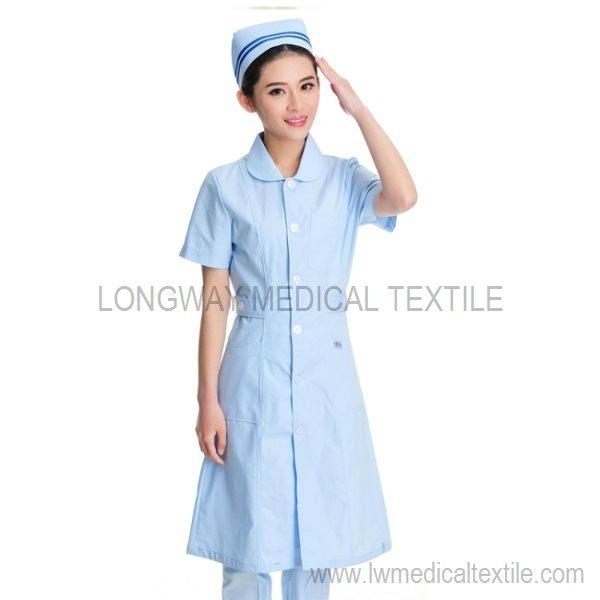 Besides traditional white color medical uniforms, we also have other pure color nurse uniforms, such as light blue, light green, pink, green, purple, etc. 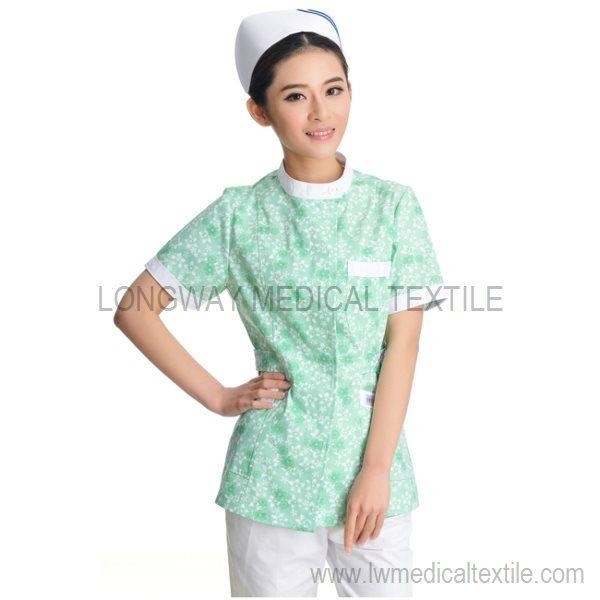 Fabris with painted designs are also options to make nurse uniforms or scrubs.